With their lavish wealth, private castles, and arcane rituals, European nobles tend to project a dignified, well-mannered air. Scratch the surface, though, and you’ll find mountains of crazy just waiting to get out. From barons dining with lions to lords riding bears, here are 10 tales of Europe’s great and good doing what they do best: being gloriously eccentric. The son of a Czech businessman ennobled in the late 19th century, Baron Georg Haas Jr. took perverse pride in showing up the old aristocracy. A fierce bohemian with immense wealth and a castle to play around in, he kept over 80 mistresses and delighted in causing scandal. But his Casanova exploits pale beside his eccentricities. Baron Haas had a single goal in life: to make sure his beloved pets never left his side, even in death. His obsession caused a local taxidermy boom. By the time of his death, Haas had collected over 50 stuffed dogs, a menagerie of stuffed exotic pets, a bunch of stuffed badgers, stuffed cats, and a collection of stuffed squirrels he inexplicably dressed in tiny fezzes. The only animal he didn’t have carted away and filled with sawdust was his beloved Mietzi-Mausi. A fully grown lioness the Baron had had specially imported, Mietzi received free rein to prowl around the castle, terrorizing visitors. Her only duty was to take lunch with Haas every day—something we like to imagine took place at a romantic, candlelit table. At this point, we would love to tell you Haas and Mietzi lived to a ripe old, eccentric age. Sadly, their story took a darker turn. An ethnic German, Haas was forced from Czechoslovakia at the end of World War II, despite being an ardent anti-fascist. Aged 68, he said goodbye to his stuffed companions for the last time and high-tailed it to the Austrian border. A few days later, he was found dead, killed by a self-inflicted gunshot wound. 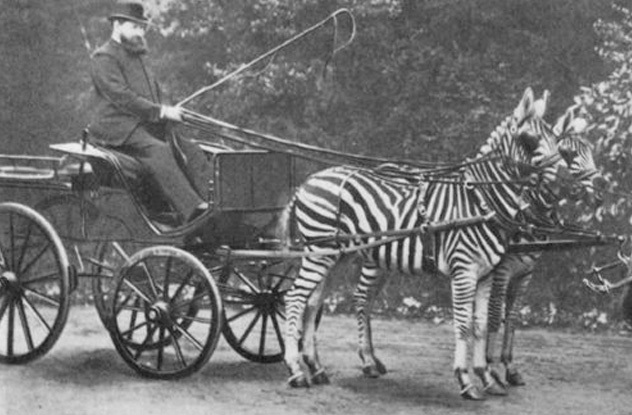 As a child, Lionel Walter Rothschild was obsessed with animals. We don’t mean in the way most kids are. We mean that at seven, he declared he would one day open an animal museum. And he did. By age 10, he had amassed a huge collection. By 21, he had so many that his father agreed to stump up the money for his museum. By the time he was 25, Walter had amassed some 4,000 specimens, over one million skins, nests, skeletons, and eggs, and 75,000 books dedicated to birds. 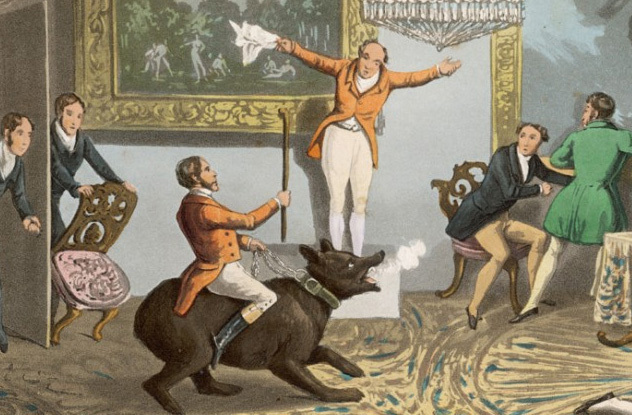 With the world of dead animals finally conquered, the second Baron Rothschild turned his peculiar talents to living ones. Grown-up Walter spent his remaining years doing stuff like training zebras to draw his carriage through the streets of London. 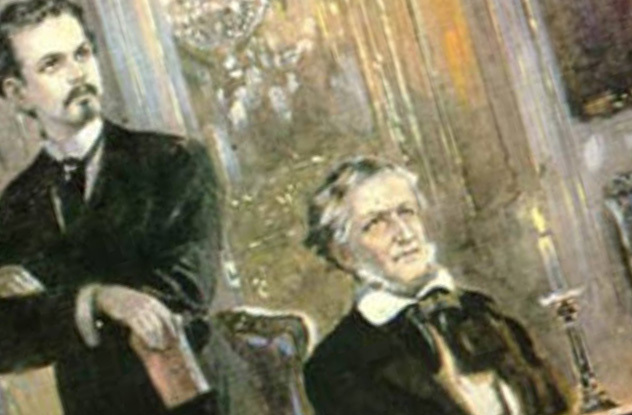 In the mid-19th century, Europe’s nobility had a protracted fling with Romanticism. Men like Ludwig II (more on him later) built fabulous fairy tale castles in which to live out their knightly fantasies. Vincent Karel Auersperg went further than most. 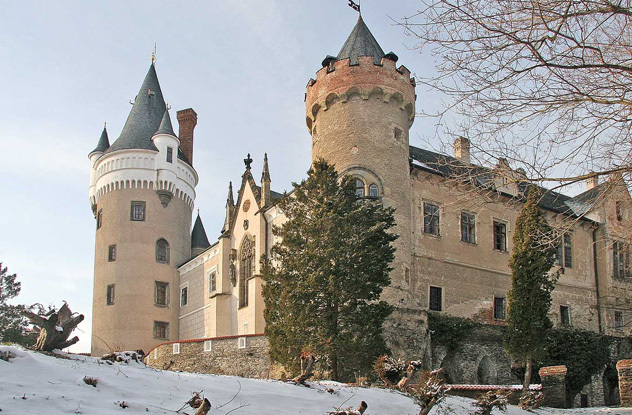 Coming into possession of Zamek Zleby castle in the modern Czech Republic, he immediately tore it down and rebuilt it in the style of the Thirty Years War period (1618–1648). He then spent the remainder of his life pretending it was still the 17th century. This meant donning heavy suits of knightly armor and clanking around in full view of his guests and servants. Not that his staff had anything to laugh about. Auersperg reputedly insisted castle employees wear period garments that were centuries out of date, presumably so they didn’t spoil his fantasy. Oddly, this didn’t stop him from decking out his home with the latest in modern conveniences. Zleby castle was equipped with then-cutting-edge technology, especially in the kitchens. Apparently, Auersperg only enjoyed make-believe when it didn’t get in the way of his dinner. Francis Henry Egerton, eighth Earl of Bridgewater, was an aristocrat with a passion. While his 18th-century contemporaries wiled away the hours shooting, hunting, and powdering their wigs, Egerton focused his energies on something much more important. He was obsessed with dogs, to the degree of treating them like fellow human beings. He didn’t simply talk to his dogs. He treated them as a sort of cross between servants and family members. 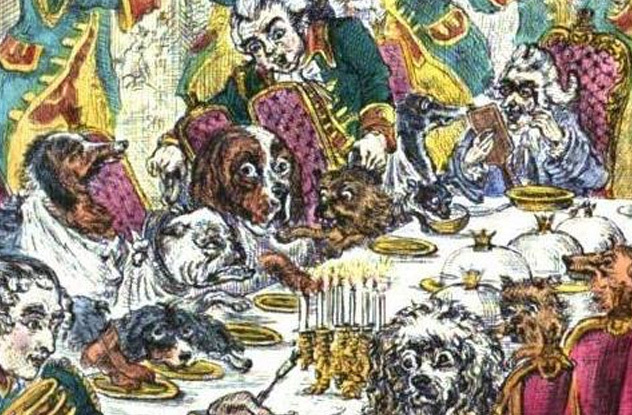 Dogs in the Earl’s care could expect to be dressed in clothes similar to his (including expensive hand-made boots) and thrown lavish dinner parties. At these, they would be expected to sit on chairs, wear napkins, and eat off silver plates. They were also expected to behave like humans. One possibly apocryphal account tells of two dogs who failed to handle themselves well at dinner. In a rage, the Earl ordered them to be taken away, dressed in the lowly garments of his footmen, and banned from seeing him for a week. The Earl’s dogs were also given free use of his carriage to roam around the streets of Paris, as were the household cats. Although Egerton was an accomplished scholar and translator, he’s today chiefly remembered for this baffling commitment to his pets. We’ve discussed Ludwig II of Bavaria a couple of times, usually in connection with his castle or mysterious death. But there was another aspect to Ludwig II’s eccentric personality. He was utterly obsessed with swans. For this, you can blame Richard Wagner. In 1850, the composer wrote an epic opera called Lohengrin, about a heroic knight who magically appears in a boat pulled by a swan. Ludwig went literally mad for it. He had a private grotto built at one of his palaces, where he could sit on a lake in his own swan boat, pretending to be Lohengrin. He stuffed his new castle with images and carvings of swans. He courted Wagner and showered him with gifts and money. Wagner responded by fueling Ludwig’s eccentricities, sending him scuttling off down the rabbit hole. Before long, Ludwig had decided he was the reincarnation of Louis XIV, the fabled Sun King. Dressed as his dead hero, the Swan King would conduct hour-long conversations with invisible courtiers. He tried to recreate the Palace at Versailles, and when the project floundered, sent a group of servants to Munich to rob the Rothschild bank. When they demurred, he retreated into Wagner’s operas and descended into paranoia. Finally, in 1886, he died under mysterious circumstances, a fittingly bizarre end for one of the strangest nobles in European history. Even in a land famed for its eccentrics, Gerald Tyrwhitt-Wilson takes some beating. The 14th Baron Berners lived at the family estate in Oxfordshire in the early 20th century, where he apparently dedicated his life to being as crazy as possible. For starters, he surrounded his estate with superfluous signs that simply read “anyone throwing stones at this notice will be prosecuted.” Those who ventured farther in would find themselves face-to-face with flocks of doves dipped in food dye to appear all colors of the rainbow. If at this point a hypothetical visitor still declined to turn back, they would be rewarded with the sight of dogs wearing expensive necklaces and fish bowls filled with clockwork goldfish. Step inside the house itself, and things would only get weirder. Lord Berners had a piano installed in his Rolls-Royce, and he enjoyed playing it to guests—when he was in the mood to see them at all. 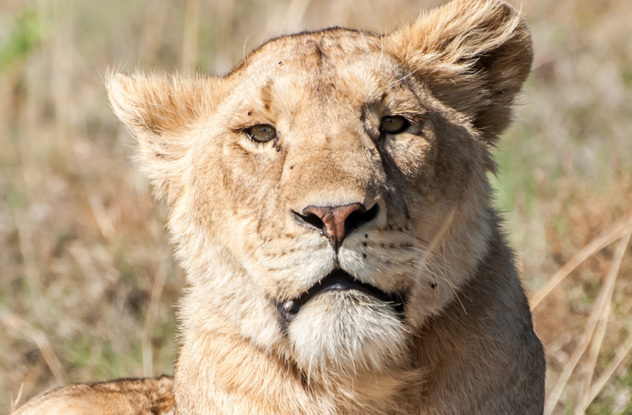 On one occasion, he hid himself inside a lion-skin rug and crawled around on all fours to avoid talking to visitors. On another, he invited the wife of the eminent poet John Betjeman to take tea in his elegant drawing room with a horse. Although Lord Berners died in 1950, his estate still bears the mark of his eccentricities. To this day, the local doves are frequently dipped in dye before being released. A wealthy Danish noble, Tycho Brahe is today better remembered for his contributions to astronomy and possibly being murdered by Johannes Kepler. There’s something else he should be famous for. Brahe was gloriously crazy. You may be aware that Brahe lost his nose in a duel and spent the rest of his life wearing a copper fake one. What you may not know is that the duel came about because Brahe disagreed with another nobleman’s mathematical formula. Instead of proving his opponent wrong with better methodology, Brahe decided the scientific method could go to hell and simply tried to murder him. Away from the turbulent world of high-level mathematics, Brahe was no less strange. One of the richest men in Denmark, he employed a dwarf full-time to hide under his dining room table and make psychic predictions. He also lavished attention on his beloved tame elk, so much so that the poor beast died by falling downstairs after drinking large quantities of beer. If that wasn’t enough, there’s also a rumor Brahe was secretly sleeping with the Queen of Denmark. 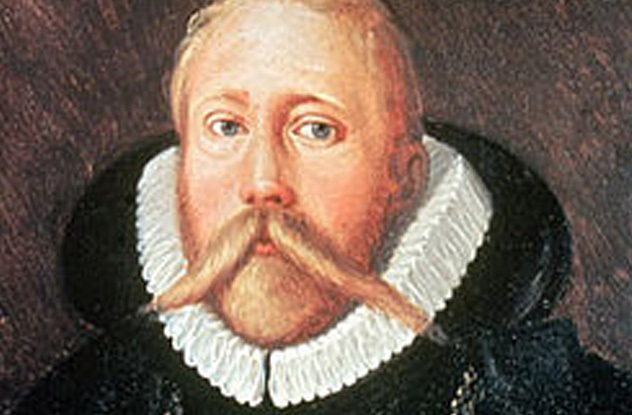 Brahe died in 1601, killed by a sudden onset of bladder disease. In death, he was no less spectacular. It’s thought his romance with the Queen and subsequent death may have inspired Shakespeare to write Hamlet. Unlike most on this list, Robert Hawker came from a humble background. 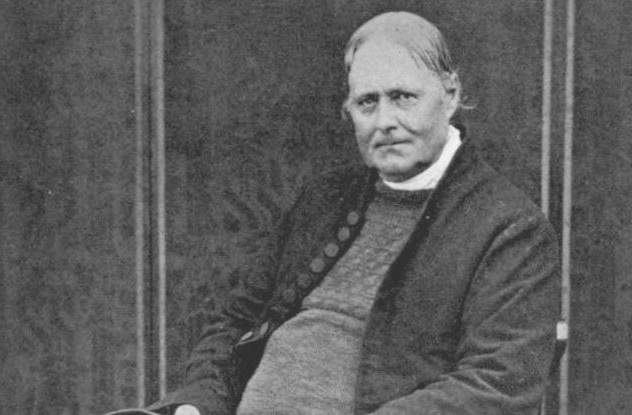 His father was a poor Cornish preacher, and Hawker followed him into the clergy. However, he quickly married upward, while simultaneously proving his eccentricity. Informed that his father could no longer fund his studies at Oxford, he immediately leaped on his horse, rode nonstop across the country, and married his wealthy 41-year-old godmother. It was the start of a long career in craziness. After Hawker became vicar in the coastal town of Morwenstow, he heard local rumors about mermaids. Either out of a desire to play a practical joke or for the sheer heck of it, the rumors inspired him to dress up in a fake tail, put on a seaweed wig, swim out to some rocks under cover of darkness and pretend to be a mermaid. He kept this up each night until every local village came to watch, at which point he belted out “God Save the King” and leaped into the waves. Hawker was also obsessed with animals. He kept a pet pig and nine cats and once allegedly excommunicated one of them for catching mice on a Sunday. When his rich wife died, he wore a pink fez to her funeral and refused to eat anything but clotted cream. John Mytton’s nickname was “Mad Jack,” and boy, did he deserve it. A 19th-century nobleman with too much time and money on his hands, he did enough crazy stuff to fill 10 whole lists. An early daredevil, Mad Jack liked to test a horse’s ability in the most dangerous way possible. 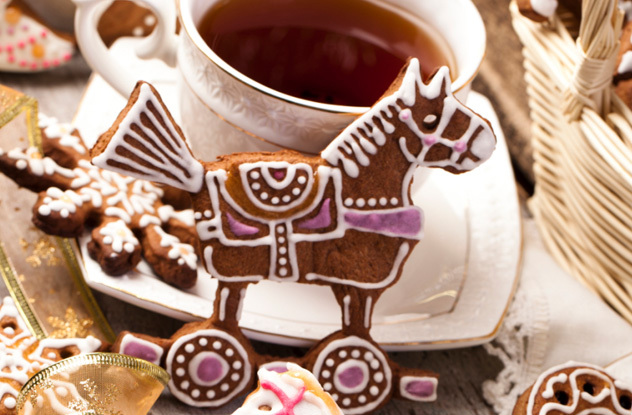 On one memorable occasion, this involved seeing if his steed could leap over a tollgate with a carriage attached. It couldn’t, and Jack somehow escaped the crash with his life. Another time, it involved riding his horse through a hotel. Steering it up onto the grand balcony, he waited until the diners below had noticed, before making the horse jump over their heads and out a window onto the street below. Unbelievably, no one was hurt. Jack’s home was filled with 2,000 dogs, dressed in costumes and fed on champagne. When he wasn’t making them fight, he stripped naked and took them hunting. More exotic animals also caught his attention. One time, he rode a bear into a fancy dinner party. Annoyed it was going so slow, Jack jammed his spurs into its side and suddenly found himself on the receiving end of a very angry ursine killing machine. Once again, he somehow survived. The man’s whole life was one long laugh in the face of death. He once went 20 rounds bare-knuckle boxing with a tough local miner, who had to give up in exhaustion. To cure himself of hiccups, he set his own shirt on fire. He even survived a drinking contest with a horse that literally killed his equine opponent. He finally died in 1834, broke, alone, and miserable, but with better obituary material than anyone else on Earth. Until relatively recently, the aristocratic de Vedrines family were the very model of French respectability. Although their wealth had decayed, they were still considered part of the upper class and not particularly eccentric. That all changed in 2001. Under the influence of a bland-looking man named Thierry Tilly, the family retreated en masse into isolation and seclusion. Their reason: They believed the Freemasons were trying to kill them. Somehow, Tilly had gotten hold of the de Vedrines clan’s collective ear and convinced them they were part of a secret plot with the fate of the world at stake. He told them they were part of an ancient society known as the “Balance of the World,” which is activated only in the face of an impending apocalypse. The de Vedrines completely fell for it. They fled France, took menial jobs in England, and waited in secret for their chance to save us all. At one point, they even brutally tortured a member of their own family for information, believing she was The One prophesied to give them the code they needed. By 2008, nine members of the family were living in England, preparing for the End Times. Under Tilly’s direction, they emptied their bank accounts and handed over everything. When the fledgling cult finally collapsed following Tilly’s arrest for torture, de Vedrines insiders fully expected the affected family members to commit mass suicide. Luckily, experts managed to deprogram them in the nick of time. Yet the delusions were so strong they persisted in a low-level form for another year. Today, the hypnotic Tilly is in prison, the de Vedrines finally free of his spell. Yet their bewitching tale remains the strangest case of mass insanity among Europe’s nobility in recent times. Maybe ever.